DERPY, Y'ALL! Fluttershy is a tree! Fallout Equestria reference?! Roid rage pony! Sad Fluttershy breaks my heart... Angel is not Evil! Wait, Fluttershy can understand the animals too?? O.O TRAINING MONTAGE!! Super-cheesy lesson in self-confidence, yo! Hmm... so how much higher than 800 did the wingpower go? rather than just "YEERRRAAAAHHHH" lol Or is that the answer to the the world? What's the best part about this episode though? Fluttershy of course! She's becoming more assertive, and getting over her fears, developing to become the best pony she can be! It's amazing how Best pony can improve to become even BETTER than best pony, but Fluttershy certainly does it each and every episode she stars in Of course, let's not detract from Rainbow Dash as well, who has shown the effects of her development in this Episode as well. She starts off being a bit rude to FLuttershy, but quickly understands her position and becomes more kind to her. Not to mention she ended up not caring about the record, and just wanted to get the water up to Cloudsdale. A great improvement from her Cockiness in The Mysterious Mare-Do-Well. I think each ponies elements are rubbing off on each other, and perhaps the greater their friendship, the more powerful Twilight's magic becomes. This is somewhat shown in the Cutie Mark Chronicles episode, when Twilight's Magic becomes overpowered when they all share the connection with Rainbow Dashes Rainboom. Well, perhaps she should have helped out with the second attempt, but then, it turned out she didn't need to. And she was hardly condescending at the end. Although, I guess her expression could be interpreted that way, even though I'm sure she didn't intend it as such. She seemed very decent and genuine when she thanked Rainbow Dash for saving her and her crew in "Sonic Rainboom", and she even remembered RD at the GG Gala. All of that makes me think that she is a genuinely nice person, celebrity aside. BTW, isn't this the first episode where we can actually see the colour of her eyes? She's got nice hazel brown eyes. (My own eyes look like that sometimes, depending on the colour of my clothes.) I'd like to see more of Spitfire in future. This episode was just... I thought last week they set the bar, but I was mistaken. This trumps EVERY episode, hell, it makes the rest of the series look pretty bad if you compare it to THIS EPISODE. THIS. WAS. GLORIOUS. I mean, Fluttertree first off...I can't bring myself to believe this wasn't Studio B shouting us out. It was too blantant and amazing. 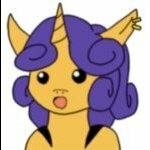 Then the confirmation of film, if old school film, in the Ponyverse. I'd say that's useful, and kinda confirms my "technology is somewhere in the 30s" theory. And of course, buff pony. I lol'd every time I heard "YEEEAAAAAAH!" and was reminded a little too much of Kool-Aid man, but whatever. In fact, I did laugh a lot throughout this episode, and squee a lot, and generally get a heavy emotional reaction out of anything, similar to how the Hearth's Warming episode always reduces me to tears for some reason (don't judge me!) Especially when Fluttershy was, um, fluttercrying. HOW CAN YOU NOT CRY AT FLUTTERCRY? I mean, it was like, her running away, the sad music, and sad Dashie too, SO F*CKING EMOTIONAL MAN. Speaking of Dashie, she really stepped up her game. In season 2 she's been a bit insensitive, but you can really see her friendly side come through in this episode. Also, I liked how in the end she didn't care about the record, and just wanted to get the water to Cloudsdale. Element of Loyalty, right there. 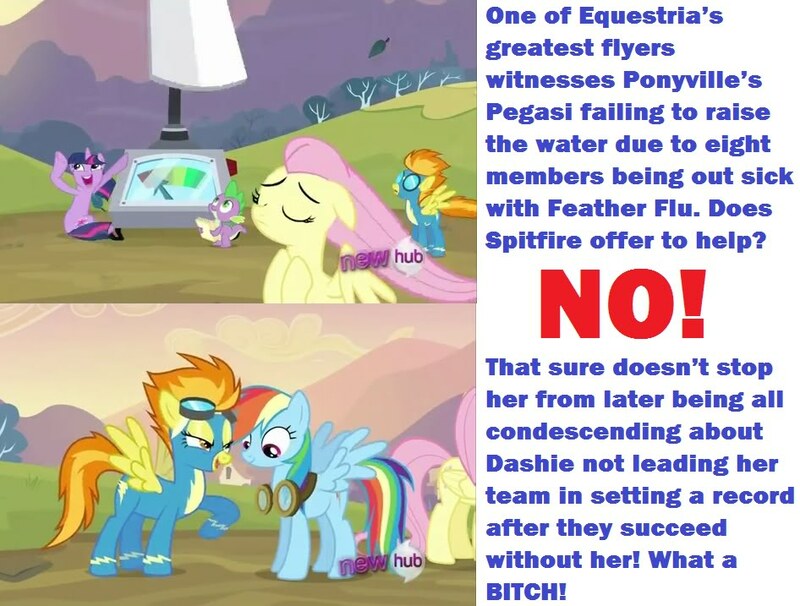 The only complaint I have with the episode is Spitfire. Her laziness has already been pointed out, but what I really want to know is what happened to her voice. It's way off! I do have a theory: this Spitfire was an imposter. She was so desperate to join the Wonderbolts that she kidnapped the real Spitfire and replaced her. 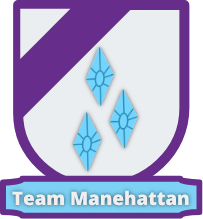 Apparently the rest of the Wonderbolts haven't noticed the differences yet. It must have been Bonbon! Her voice changes every time she speaks! Not gonna lie...this episode was kinda hard to watch. Not because it was bad or anything, it's actually become one of my new favorite episodes in a long while. But to see the amount of torment that Fluttershy endured as a filly, to the point that it continued to plague her as an adult enough that she was reduced to tears (Fluttershy crying = Saddest moment ever) was definately heartbreaking. Especially doesn't help if you were bullied as a kid and can relate, digging up bad memories in the process. 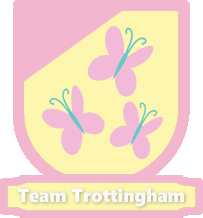 - The training montage really helped lighten the mood, especially when Fluttershy waltzed onto the training ground with the animals in tow and the training music following behind her. Like a boss. - TONS of new pegasus introduced in this episode.  On that note, does anyone know if the stallion with the Orion constellation cutie mark has been named yet? - Twilight's tech speech was kinda adorable in a geeky way, especially how she looks so happy that she gets to explain what the device is and does. - Twi "Do I look like I speak squirrel?" Tara, you troll! - As many have pointed out, Dash's character was alot more sympathetic in this episode. After being shown as this insensitive jerk for so long, it was nice to see she still has a soft spot for her friends (especially Fluttershy). Yes, I'm aware I'm way overthinking this, that this was for the sake of the confict and the resolution of the episode and that I should really invoke the MST3K Mantra right about now...but this still bugs me. Did RD just ask Fluttershy is she was gay? Anyone else see the strong resemblance between Roid Rage (or whatever he's being called) and John Kricfalusi's animation style? He looks like a cross between Mr. Horse and George American. Nice. did Spitfire voice change or something? She sounded different, and also barely spoke. Anyways, Fluttershy was a tree! I got to watch this episode with two of my closest friends, so it made everything doubly enjoyable and 20% cooler. Most everyone here has effectively expressed my own thoughts in one form or another. Overall, I very much liked the episode which stressed Dash as a good friend and Fluttershy as desperately wishing to help but lacking the self-confidence to do so. That dynamic almost always seems well suited for both of them: a tug-of-war between Dash's desire to win and Fluttershy's passive nature. You really cannot go wrong in terms of stressing their friendship in that respect. I liked how Fluttershy's animal friends came to comfort her when she was overwhelmed by anxiety and grief. It was the first time we've seen Angel act as a friend toward Fluttershy rather than a brat/borderline abusive spouse. It was a nice use of her affinity for all the animals she has taken care of over the course of the series. For now, I haven't much else to say. I'm a bit weary, so I'll leave my thoughts at that. This episode...just when I didn't think they could get any better, this episode aired. So many memorable scenes in this one: the black-and-white movie explaining how water gets to Cloudsdale, Fluttershy's trainer scene (and the epic music along with it,) the entire scene when they're trying to funnel the water to Cloudsdale 8 pegasi short, Fluttershy's flashback, etc. I also liked how the flow differed from most other episodes. Usually, there's a turning point mid-episode and the conflict is resolved. 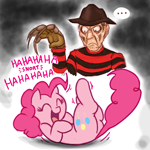 In this one, however, it isn't initially resolved after Fluttershy's training, creating a twist to the story. I must admit, I was expecting her wing power to be much better than 2.3 after she and her montage of animals arrived on the track. And lastly, the emotional parts were quite moving. So in closing...fantastic episode. No way else to describe it. Mind giving an explanation? I had the complete opposite reaction - this episode made me love Rainbow Dash. Well it seemed to me that RD was kinda' forcing Fluttershy to help with the tornado at the start when she didn't want to. Also that she was pretty obsessed with breaking that record. At one point she endangered her crew by making them try to raise the water the second time because they were already tired. I mean, don't get me wrong, she did get better as the episode went on when she helped Fluttershy and stuff but, that attitude of hers is what makes me not like her at all. It was pretty good. Charming, adorable, and there was good interaction between the ponies. Rainbow Dash was wonderful in this episode, standing up for Fluttershy and acting selfless, nothing like how she was in The Mysterious Mare Do Well, which was one of my least favorite episodes. This episode made me d'aaw a couple times. Fascinating. On page 3, I had a post where I was talking about how impressed I was that the record was NOT her obsession. I agree, she did seem at first to be trying to get Fluttershy to do something she didn't want to do - but I got the impression that tornado duty was well, a duty, something every pegasus was expected to do. At one point, RD did back off though and said, "thanks anyway" and started to fly away sad. That's when Fluttershy said she was game and RD became very happy. As for endangering her crew, it seemed to me that getting that water up to Cloudsdale was a big priority - that's why she did not care about the record and wanted to do her duty. She could have postponed until the sick pegasi came back and try for the record, but her priority was accomplishing the task at hand. However, as some ponies here have pointed out, if getting water up to Cloudsdale was really that crucial, then why didn't Spitfire help out? Spitfire was there as a type of judge, but once the record was not possible, maybe she could have lent a hoof? Maybe getting the water up on their own is a point of pride for the selected town? I do not know. I am talking about the second attempt, and Spitfire had no idea Fluttershy was going to show up right at the last second. I still think she should have helped. The should have shown her right about to take wing when she saw Fluttershy show up. Then Spitfire would pause, look at the indicator needle on Twilight's machine, and then nod knowingly and given Fluttershy a big wink of encouragement. It would have been much more suitable for her character. I would have loved that! This episode was epic! I just watched it. I had a paper infront of me where I wrote down all moments where I laughed.